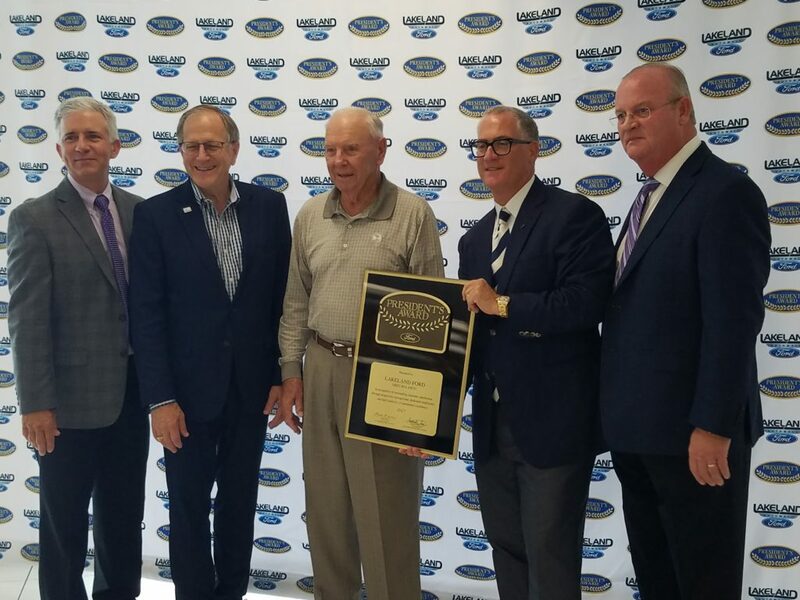 It’s been a long time coming, and finally Lakeland Ford joins the distinct honor roll of recipients considered in the top 5% of Ford dealerships nationwide. 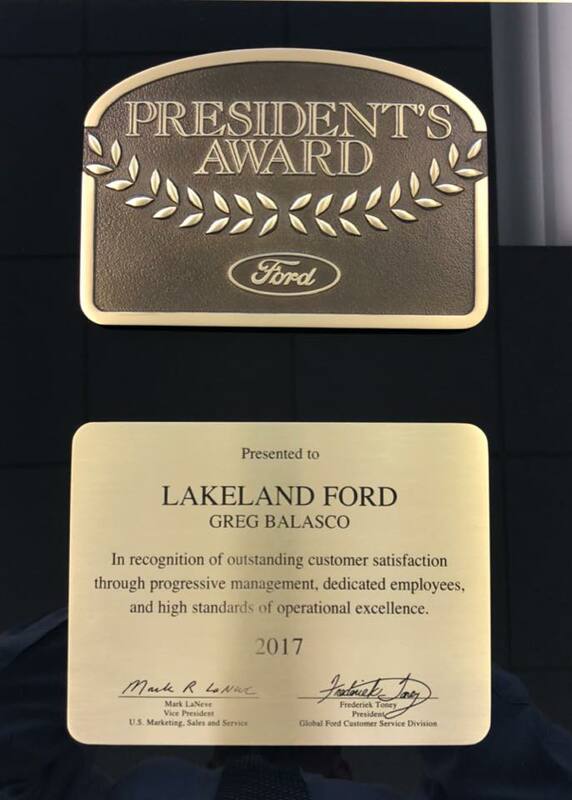 Today, June 30th, 2018 Lakeland Ford officially was presented the Presidents Award from Ford Motor Company. In 2017, only 12 dealerships in the state of Florida were honored with the distinction fro ranking highest of all Ford dealerships nationwide that provided the highest CSI score (Customer Survey) from actual customers who purchased or serviced at Lakeland Ford. This annual award is the first time Lakeland Ford has won this distinction. Lakeland Ford (part of the Lakeland Automall family of brands) employs over 250 people and currently represents Ford, Hyundai, Genesis and ROUSH branded products. 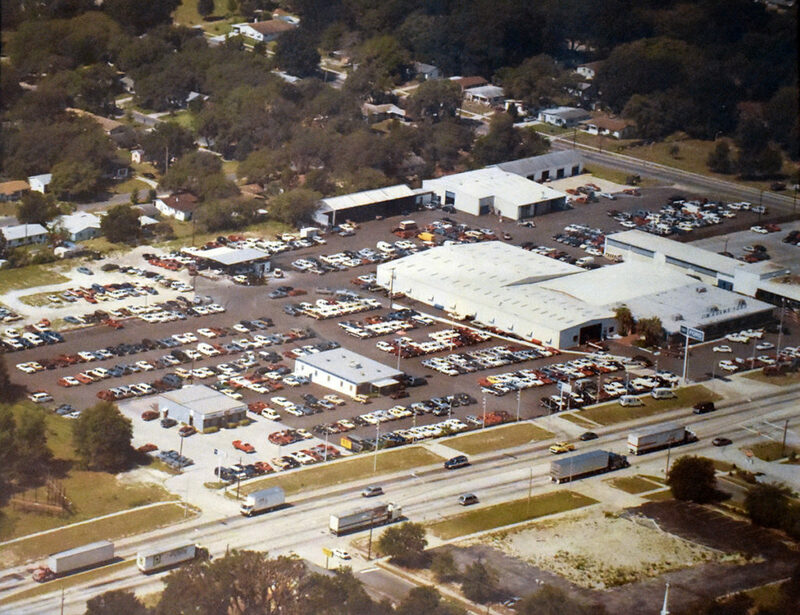 Lakeland Ford, the cornerstone dealership in Lakeland has been serving the community since 1949 and has moved several times over the past 69 years. The original location on Main Street was moved to Lake Mirror in the 1950’s where it remained until the 1970’s when it moved to it’s current location on W. Memorial Blvd. 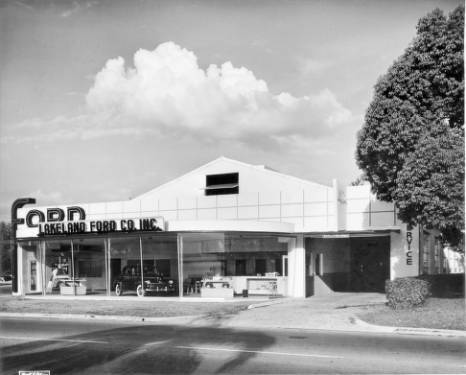 From what we have been able to find through local archives, Robert Waters owned Lakeland Ford in the 1950’s through 1982 when Jim Adams purchased the dealership and changed the name to Jim Adams Ford. 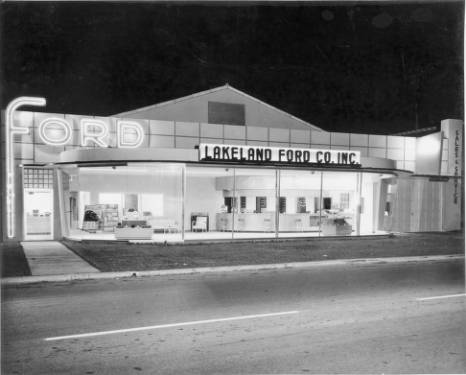 In 1996, Bill Mutz purchased the landmark Ford Dealership and changed the name back to Lakeland Ford which it still remains to this day. Thank you Lakeland and all of our surrounding communities for helping us achieve this great honor. We will continue to work to improve and provide the highest quality service, sales and parts of all of our community. If we can do anything, don’t hesitate to ask… we’re here to help!